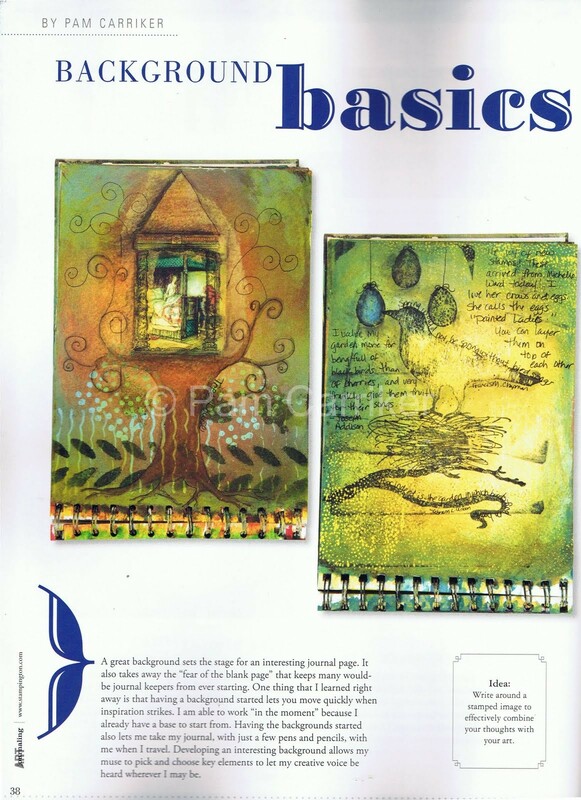 hi, pam – i just picked up my copy of art journaling today to look for nancy's work, and then i found your wonderful article too. i enjoyed reading about how you two have inspired each other! and i love your work in gray! such a beautiful little view into your journals:) Congratulations on the two features! Pam, I love the background article! I like to work that way too…several pages at a time, intuitively. I'm crazy about the rich green backgrounds on your pages. Thanks for sharing! We're going into the big city in a couple of days, and I'm definitely looking for this issue! I love all of your articles, Pam. Congratulations! WOO HOOO! Can't WAIT for my copy to get here! congrats on the articles! your work is so lovely and heartfelt. 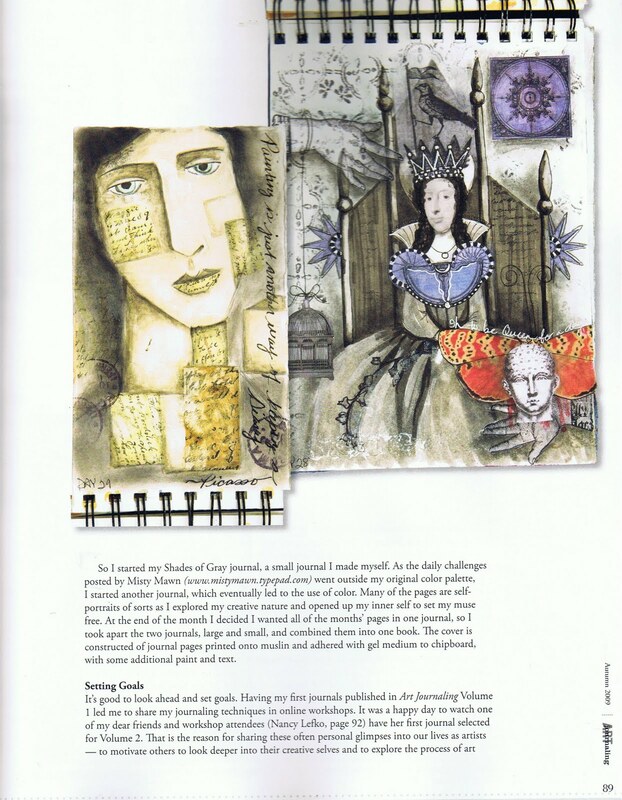 you have re-ignited my passion for art journaling! thank you! Congrats Pam! I will be watching for the latest issue. How thrilling to have two articles featured! well miss pam…you are going to town in these magazine publications! i'm so proud of you! it couldn't happen to anyone nicer and more deserving. i'm a HUGE fan of your work…and you! Congratulations! Thanks for sharing this Pam! I can't wait to get a copy! A big congratulations on being in this issue twice…and on all the success you have been having. Well deserved!! 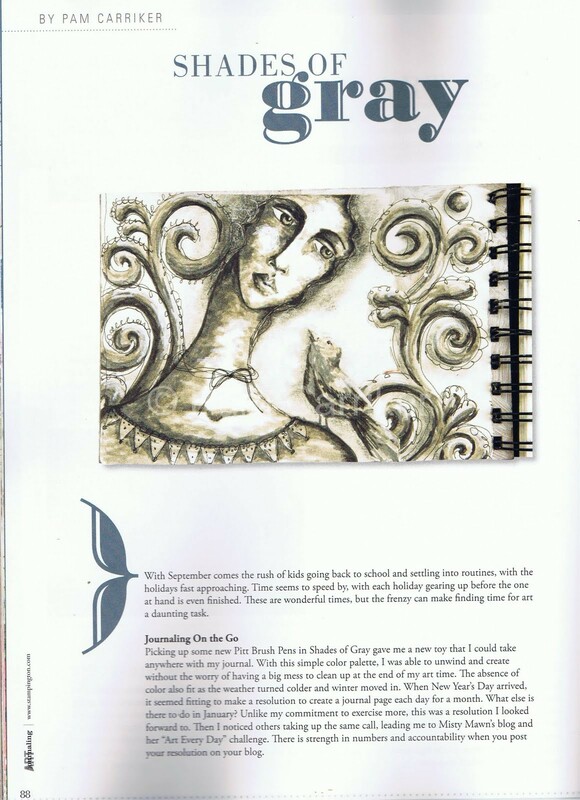 Your articles are pure gems in this volume….YOUR pages are among the sweetest eye candy offered 🙂 I am thrilled to share space with you in this mag and to share in our artistic journey together. You rock, sista!!! !